Nigeria’s foremost League Awards, the influential League Bloggers Awards (LBA) has applauded its partnership with United Kingdom based non-governmental organisation, Community Sports for Educational Development. LBA Chief Executive Officer, Ojeikere Aikhoje, expressed satisfaction that CSED made a bold presence at the awards last Tuesday. “We’re proud of CSED for helping to educate professional footballers against vices that could tarnish their careers. “Over the years, we’ve seen big stars destroy all they’ve achieved because of drugs. We expect CSED to make this constant as the LBA is open to a robust partnership,” Aikhoje said to journalists. CSED provided journals aimed at eradicating drug abuse amongst youths to footballers and guests who attended the LBA, on Tuesday, November 28, 2017. 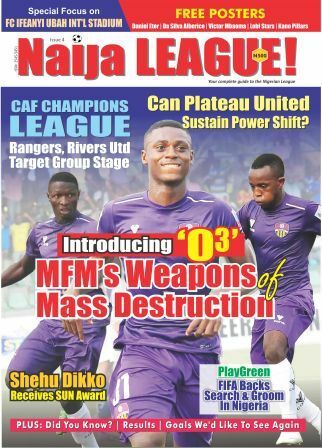 Former Nigerian International, Edema Fuludu, who won the Afcon in 1994, serves as CSED Coordinator, in Nigeria. CSED which is an NGO partner of the Nigeria School Sports Federation (NSFF) have in the past worked with Channels Television and the United Nations Office of Sports for Development and Peace in promoting literacy among school age children in Nigeria.